Built in 1924, the Blue Bayou is our newest and oldest dining room. It is open for reservations six days a week offering a variety of dining experiences for brunch, lunch, dinner or late night cocktails. We offer both a la carte service and family-style dining service. 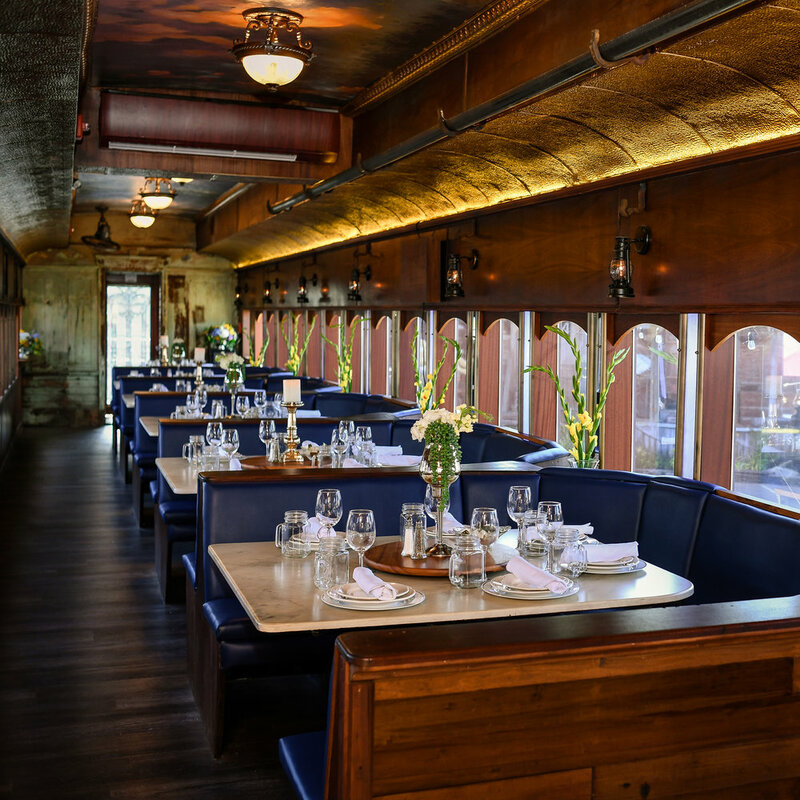 Open for Brunch and Dinner service, this unique dining space is sure to take you back in time. We require 4 or more guests to reserve a booth. We do our best to accommodate walk-ins, but reservations are highly recommended. Blue Bayou family‐style is much more than just the serving of food. We encourage mealtime to be a social event, with adults and children eating together, sharing the same menu and casual conversation. Dining on the Blue Bayou is an immersive experience of great food, great atmosphere and great conversation. So please come and enjoy the company of family, old friends or even make some new friends while you dine on a well-sourced meal in our one-of-a-kind setting. The Blue Bayou seats 36 guests and is a perfect place for a corporate meeting, birthday party, rehearsal dinner, and more. 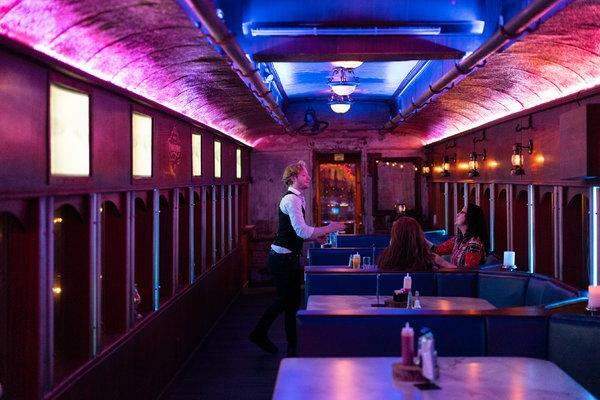 The rail car is outfitted with built in TVs for each booth along with color changing lights and surround sound. The Blue Bayou offers lots of options in Dining & Entertainment! Sign up on our mailing list below to stay in the loop of when these events are happening and get advance ticket sales notice.